Men's black Adventure Time tee shirt. 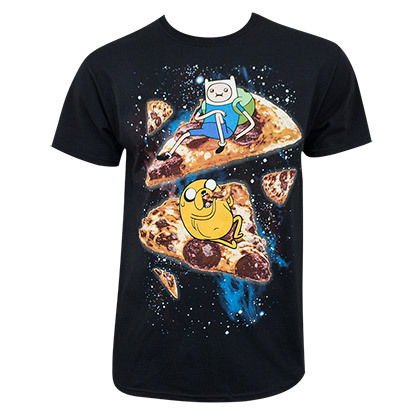 Made from 100% cotton this shirt features Jake and Finn floating through space on pieces of pizza on the front. Officially licensed. "Thanks to you guys this is the standard of customer service that I've come to expect from an online store. Great experience and will shop again."